^ Financial Statements for the Year to 31 July 2016 (PDF). SOAS: 25. 2015–2016. ^ About SOAS. [18 January 2013]. 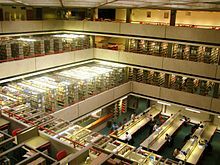 ^ Israeli Apartheid Week, "Israeli Apartheid Week"
^ National research libraries. [31 March 2017]. ^ 倫敦大學亞非學院簽署臺灣研究合作備忘錄. [31 March 2017]. ^ 中華民國駐英代表林永樂與英國倫敦大學亞非學院簽署「台灣研究計畫」合作瞭解備忘錄. [31 March 2017]. （原始内容存档于2017年4月1日）. ^ 倫敦大學亞非學院臺灣漢學資源中心. [31 March 2017]. （原始内容存档于2017-04-01）. ^ 「臺灣漢學講座」邀請陸敬思(Christopher Lupke)教授於英國倫敦大學亞非學院演講. [31 March 2017]. ^ QS Top Universities SOAS University of London. [17 July 2018]. ^ RANKINGS BY SUBJECT - 2017 CWUR. [4 April 2017]. ^ Academic News. [31 December 2012]. ^ About SOAS. [1 October 2012]. 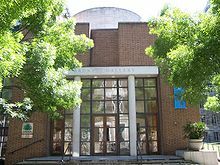 ^ Department of Anthropology, SOAS. [1 October 2012].